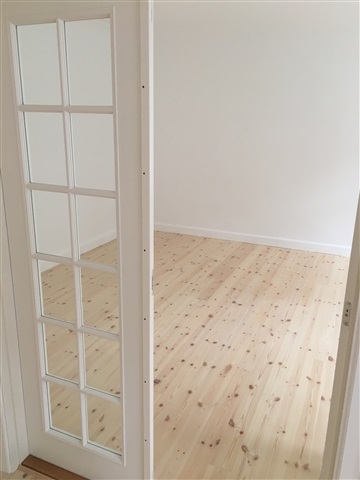 24 sqm large room in 130 sqm newly renovated apartment 2 minutes walk from Hillerød station. The apartment is shared with 2 other young people. The apartment consists of a large spacious living room (the size of your room, new delicious HTH kitchen, bathroom, hallway that connects the apartment and 2 entrances. The living room stands primarily and is right next to your room, so there is plenty of room to romp take care of :) For the apartment there is a smaller basement room for storage, and laundry basement for the building's residents (a total of 7 apartments). EL: about 1400 in the quarter that is shared between roomy. Take over as soon as possible. Unlimited rental.